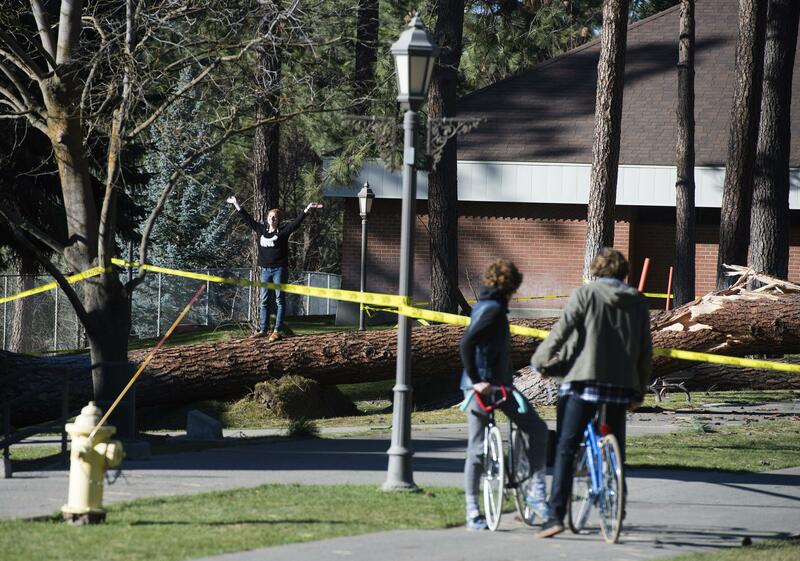 UPDATED: Wed., Feb. 1, 2017, 3:20 p.m.
Whitworth University has begun replanting trees on campus after 155 were toppled in the November 2015 windstorm. The school plans to plant 75 to 80 trees with a combination of insurance and money from the school’s budget, said John Jesseph, an arborist who heads the groundskeeping department. About 55 of the new trees will be native species including pines, firs and hemlocks, and the rest will be non-native flowering varieties. There are about 2,000 trees on Whitworth’s campus, not including 40 acres of wooded area that the university owns. Jesseph said the new trees will be planted strategically to leave enough space for roots and canopies, and enough distance from other structures. “We’re going to plant trees where they’ll thrive and have room to grow,” he said. Groundskeepers also have ramped up pruning efforts to make trees more aerodynamic and more resistant in strong winds. Published: Feb. 1, 2017, 3:17 p.m. Updated: Feb. 1, 2017, 3:20 p.m.